Hovercraft Training Centers train exclusively on Neoteric Hovercraft, and when someone purchases a Neoteric craft, HTC conducts their training on the customer’s own hovercraft. Bob’s definitely stands out – it was custom manufactured to match all his other toys, including three Jeeps, which are painted the same 1973 Corvette burnt orange. Why should Bob have all the fun? 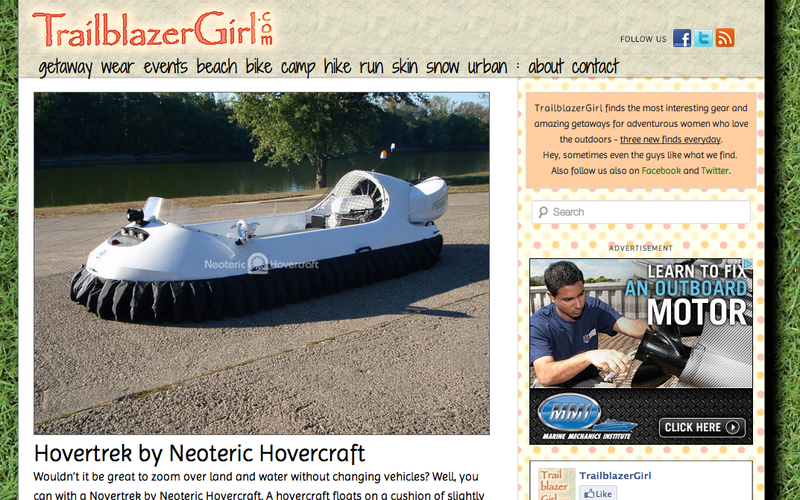 The Neoteric HoverTrek, official hovercraft of HTC, was recently featured on TrailblazerGirl.com, a site that culls the web for the coolest gear and getaways for adventurous women. And what cooler vehicle for the outdoorsy man, woman, or otherwise than the buzz-vehicle of the minute: hovercraft. While hovercraft still tend to be associated with male-dominated professions and recreational activities thought of as "guy stuff", some women are getting in the pilot’s seat and giving the dudes a run for their money. Donna Jackson, a deputy with the Caddo Parish Sheriff’s Office, uses hovercraft to aid in search and rescue efforts over the highly variable terrain in and around Shreveport, Louisiana. As if often the case with our trainees, senior officers in the Parish were trained at HTC headquarters in Terre Haute, Ind. and graduated with not only the skills to fly, but the ability to pass along that knowledge and train their subordinates. After being trained by her lieutenant, Lt. Jackson has put her skills to use patrolling the Red River and rescuing citizens in distress. Learn more about how this trailblazing woman uses hovercraft to work smarter and save lives at HovercraftTrainingCenters.com. 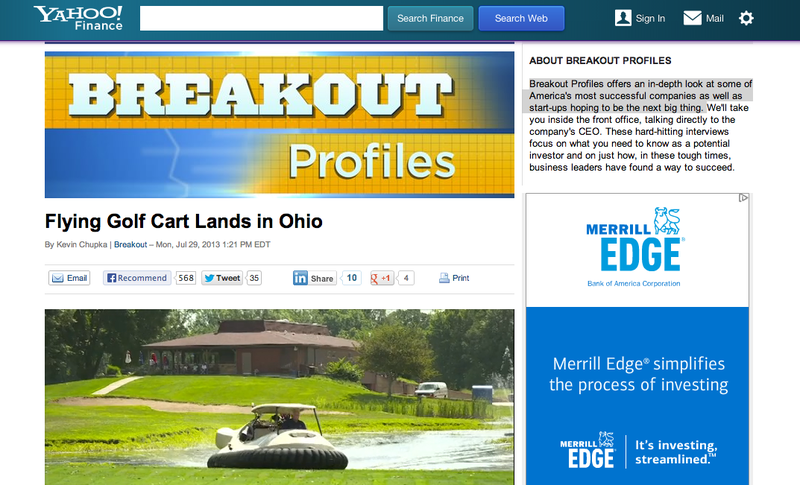 In one of its "Breakout Profiles", which feature emerging American success stories and innovators, Yahoo! 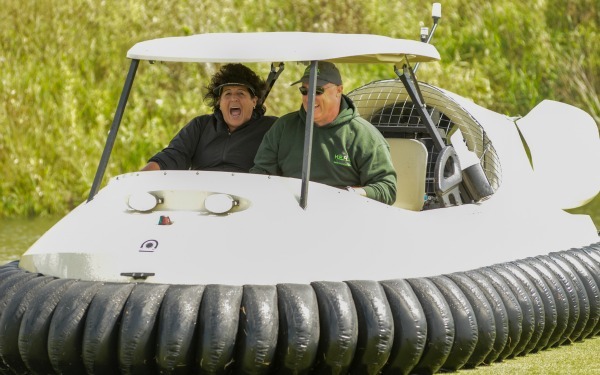 Finance gets to the real truth underneath all the madcap publicity over Bubba Watson's wacky hovercraft golf cart: all gimmicks and glamour aside, hovercraft save lives where no other vehicle can go. 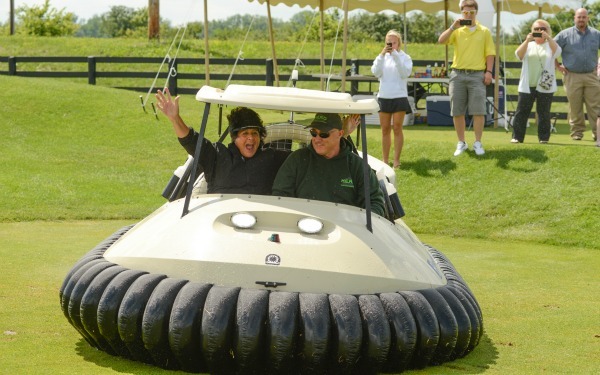 With proper training, hovercraft offer much more than a sweet ride that will make your fellow golfers green with envy. In fact, they can dramatically improve the efficacy of law enforcement, fire departments, and other search and rescue organizations. "There’s no reason why the majority of fire departments and sheriff departments and emergency management people couldn’t have a hovercraft," (HTC founder and Neoteric President Chris) Fitzgerald argues. "It’s about the same price as a police motorcycle so we’re going to see these vehicles all over the world in these rescue situations."